The underground environment contains many natural hazards that can pose a risk to the caver. 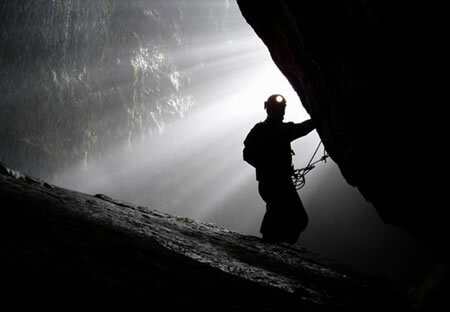 Darkness, cold, and deep or moving water are common in caves and abandoned mines. Tight squeezes, drops and a maze of passages can intimidate the inexperienced. Heavy rainfall and flooding can catch out the unwary. Yet the very nature of this unique environment is the attraction. Whether awed by the sheer splendour of stalactites and flowstone decorating abandoned phreatic tubes, or enjoying the pure challenge of exploring the unknown, cavers are able to experience an adventure that is real and active. Risks can be reduced by careful planning, suitable clothing and equipment, and the progressive build up of sound experience over a period of time, gaining technical competence and good judgment along the way. ACI members already have this quality, based on a wealth of hard won personal experience. They are highly trained instructors, working to professional standards. 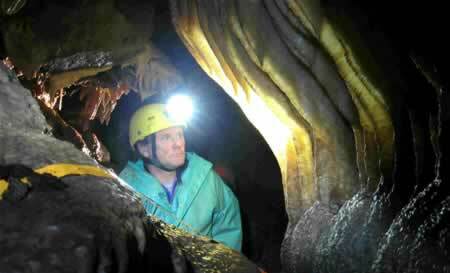 They have been rigorously assessed by the British Caving Association and hold the UK's highest cave leadership / instructor award, the CIC. They will be using equipment that is 'fit for purpose' and will comply with current Health and Safety legislation. However, although our members will help you develop appropriate and efficient techniques, increasing your overall competence and safety and leading to a greater self-reliance and independence as a caver, they cannot totally eliminate risk. The element remaining will be commensurate with the aims of the trip, and age and experience of the client or group. Clients, students, parents and organisers should read and understand the following statement from the British Caving Association. The BCA recognises that cave and mine exploration are activities with a danger of personal injury or death. Participants in these activities should be aware of and accept these risks and be responsible for their own actions and involvement. Contact an Instructor for further guidance.